Brenda Doreen Lee was born on June 3,1956 to Willie Lee Sr. and Virginia Bagley Lee in Kenbridge, Va. She was the oldest of four children blessed to this union. Later two brothers Willie Jr. and Ronnie and sister Linda were born. Both parents preceded Brenda in death. Brenda accepted Christ at an early age. She was a member of New Creation Church for many years under the leadership of Rev. Reginald Gary until the time of her passing. Brenda was raised in a Christian loving and happy home along with her siblings. Being the oldest child, Brenda always had clout in the family. She was the family “jewel”. Her siblings always looked up to her and her parents could always depend on her. She loved cooking, baking and doing chores with her mother. She and her father shared an interest in dancing and having a good time. In 1965 the family relocated to San Diego due to her father's enlistment in the US Navy. She received her formal education in the Kenbridge and San Diego school districts. She attended Bell Jr. High and Lincoln Sr High. She loved being a “Hornet” and was a member of the drill team. She graduated in the class of 1974 and remained a “Hornet for Life” and was a member of her 1974 Alumni Reunion Committee. Nevermore '74. While walking the halls of Lincoln, beautiful Brenda; sporting her big, bold and bouncy trademark afro met her childhood sweetheart Michael Johns. They later married and became loving and doting parents to their son Myrell Lashawn Johns. “Rell” was always her first priority. She raised Myrell, her only child, to be very respectful, polite and compassionate. Five days after her high school graduation, Brenda was employed by Pacific Telephone and Telegragh Co. which ultimately became AT&T. She was a dedicated member of CWA LOCAL 9509. She retired after 28 years as a Directory Assistance Operator. After her AT&T retirement she held various jobs and was employed in the Home Health field at the time of her demise. With her youthful and energetic spirit and personality ,she met many lasting friends along the way. She loved life and lived life to the fullest. Never held a grudge! She was very organized and balanced her lifestyle between family, work and leisure. She loved to “celebrate” and rarely turned down opportunities to have a good time. Her main hobbies were dancing and entertaining with friends. Brenda's kindness and generosity will be greatly missed. She was a fun-loving mother, daughter, sister, auntie and friend. She loved caring for her family dogs “AJ” and “Benji” who both recently passed away. 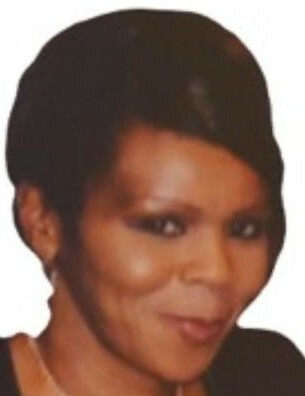 Brenda leaves to mourn her passing and forever cherish her memory; loving and devoted son Myrell Lashawn Johns, three brothers Willie Lee Jr., Ronne Lee and Roger Hunt; sister Linda Lee; nephew LaRon Lee, three nieces Brionne, Ronnie Nichol and Janay Lee. Great niece Alayah Lee. A host of uncles, aunts, cousins, co-workers, friends and church family.